One of my favourite jams to listen to while chillin’ is “You Got Me” by The Roots, Erykah Badu and Eve. Just like that song's title, I got coffee to pick me up. No other drink has got mah back like coffee yo! The Roots band makes amazing music with soulful poetic lyrical content. 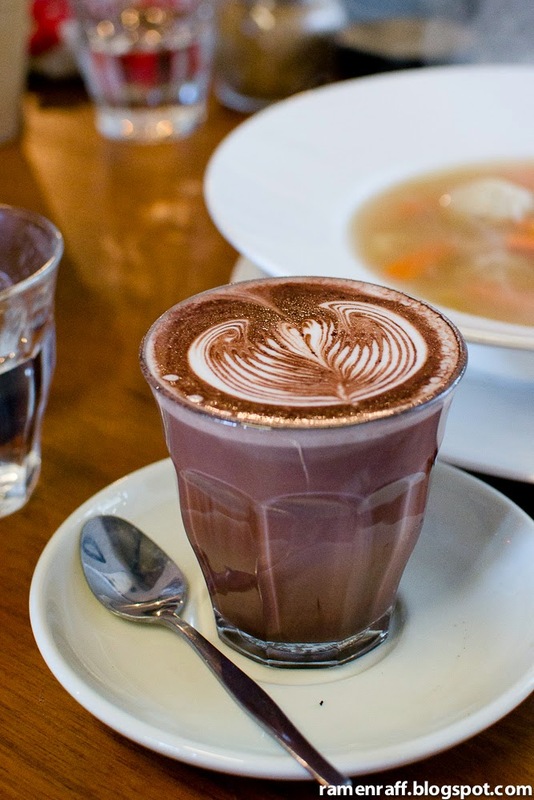 Then there’s a café in North Sydney called The Roots Espresso that serves amazing coffee and soulful food. They're not associated, but both excel in their respective crafts. 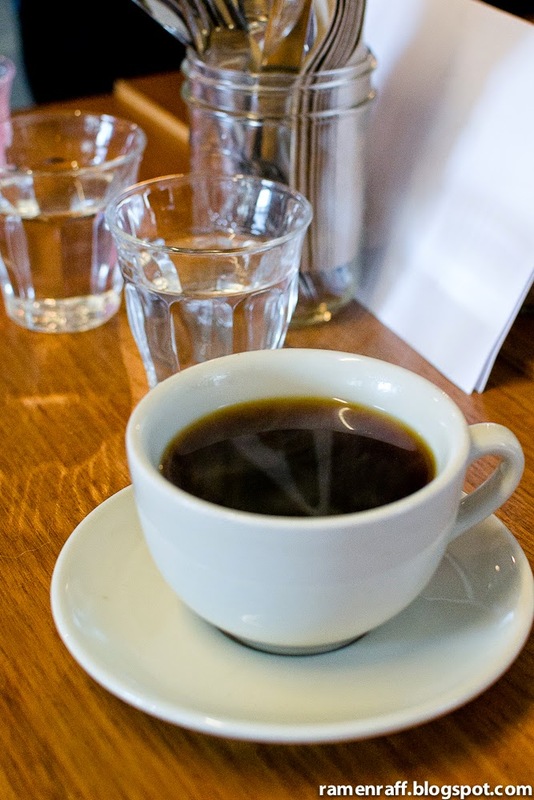 The Roots Espresso is a humble café tucked away in Elizabeth Plaza. 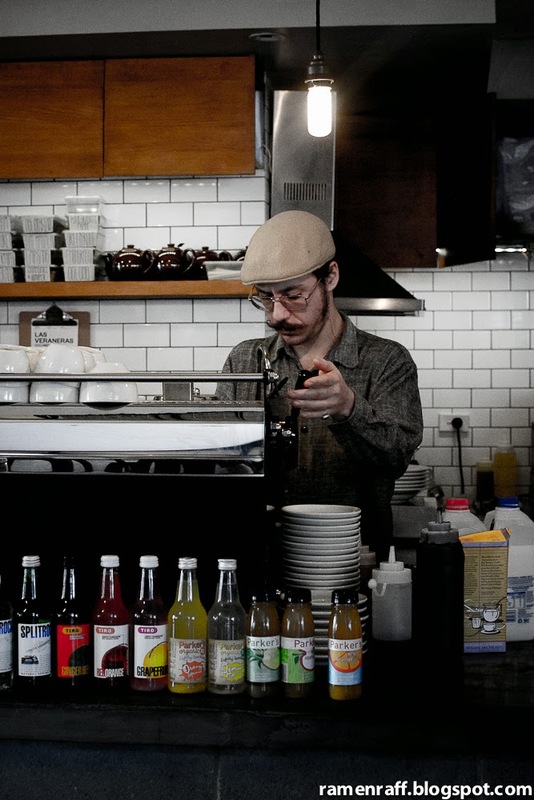 It’s the only specialty coffee shop of its kind in North Sydney at the moment. 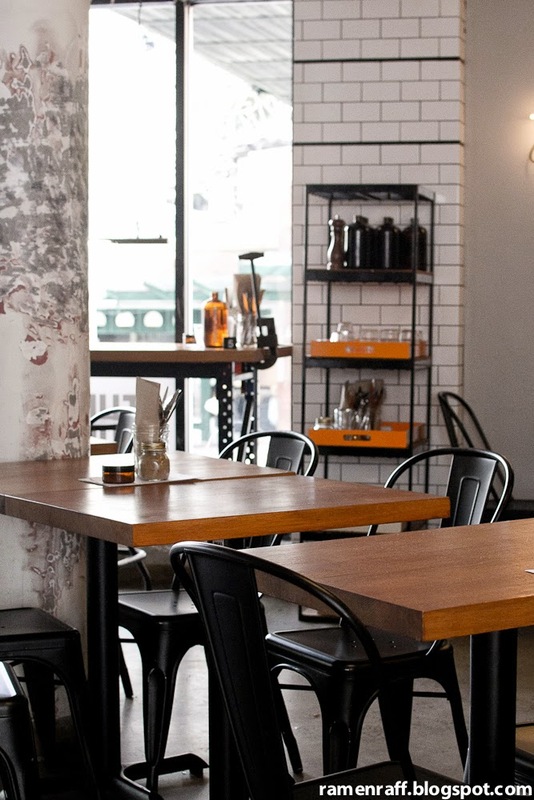 The space is very hipster with industrial décor and fit out. 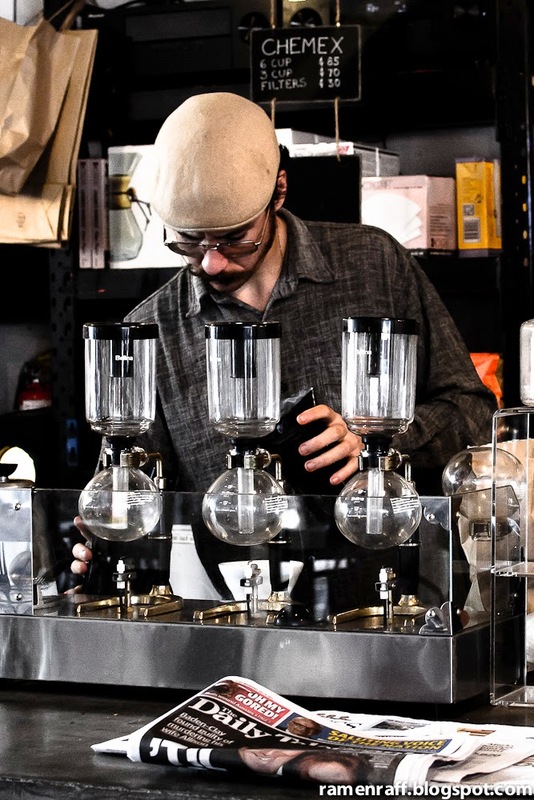 Their passion for coffee is very evident from the brewing bar set-up that includes siphons, chemex, cold drips and a sleek espresso machine. Blends and single origin/estate beans from roasters like Reuben Hills and Single Origin Roasters are available. The uncomplicated lunch menu showcases comfort food that soothes the body and mind. I’ve longed to visit them ever since they’ve opened eight months ago. I was full of excitement when I finally had the chance to check them out with my fellow brunch loving buddies. I strayed away from my usual milk espresso drinks and decided to go filter. A single origin from Guatemala San Antonio that was roasted by Reuben Hills was available that day and it was gorgeous. It had a light to medium body with lovely notes of black currant. The reuben sandwich ($11) consists of paprika slaw, pastrami, gruyere cheese, mayo and pickles in a nicely buttered rye sourdough bread. I'd prefer a bit more pastrami but I think they are just being careful not to overfill the sandwich. 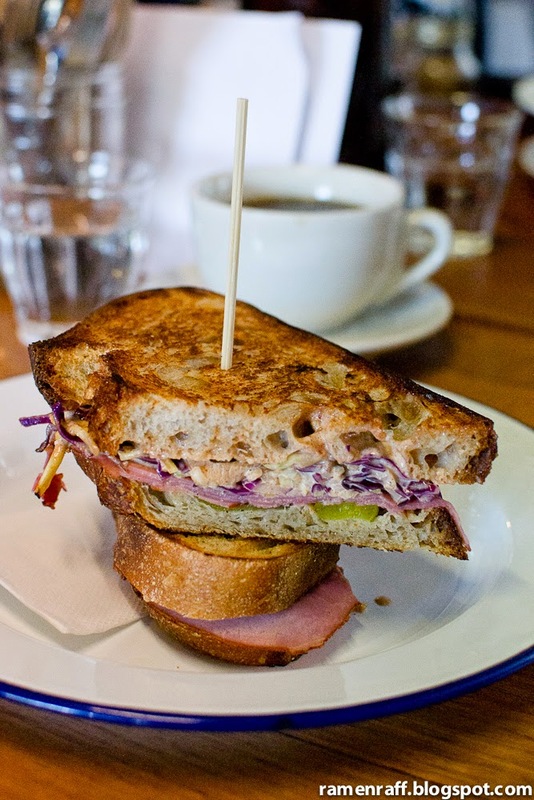 It is still everything delicious that one would expect from a reuben. I also like their own spin on replacing the traditional sauerkraut with paprika slaw. The roast pork sandwich ($11) was a winner! 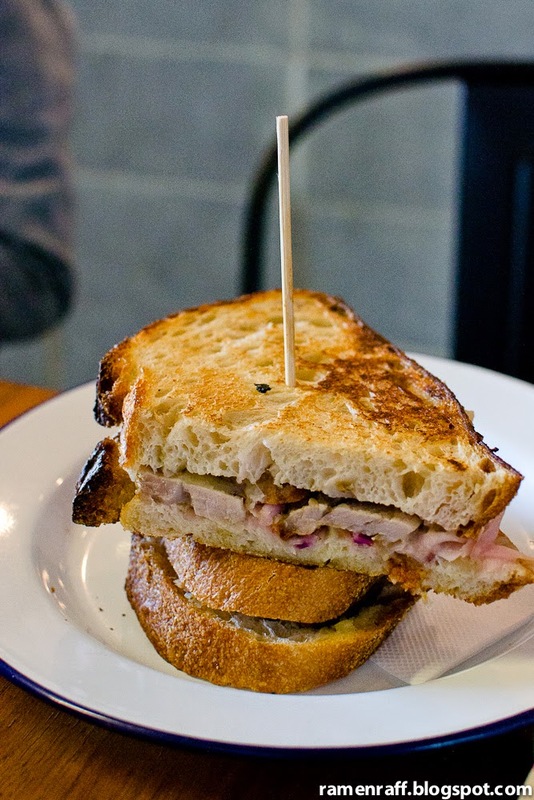 It had all the ingredients that would make a glorious pork sambo such as crackling, apple puree and pickled fennel slaw. The sweetness from the apple puree went perfectly with the juicy pork. The fennel component of the slaw served as an excellent pork flavour enhancer. Then there's the chicken and matzah ball soup with bread ($12). 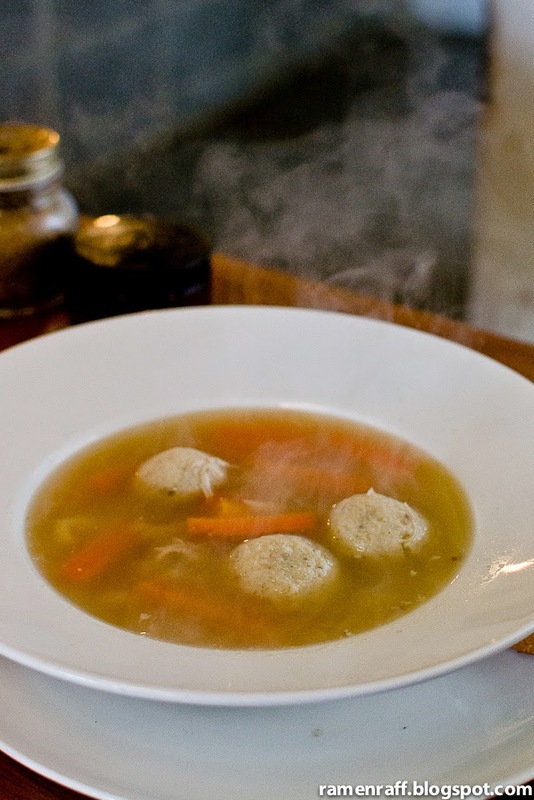 This classic Jewish soup is a perfect winter comfort dish. The broth was aromatic and light with subtle flavours from the chicken, parsnips and carrots. Matzah balls are normally egg and chicken fat based dumpling-like morsels. Their version had an almost melt-in-your-mouth texture with very subtle chew. Every sip was like getting light kisses and warm hugs. Last but not least was their awesome 12 hour brisket roll ($13). Besides the tender pulled beef brisket, it also has beetroot slaw, pickles and barbecue sauce (there could be mayo in it too) that all work well as a filling. It got a bit messy but it was definitely legit with wonderful smoky and tangy flavours. 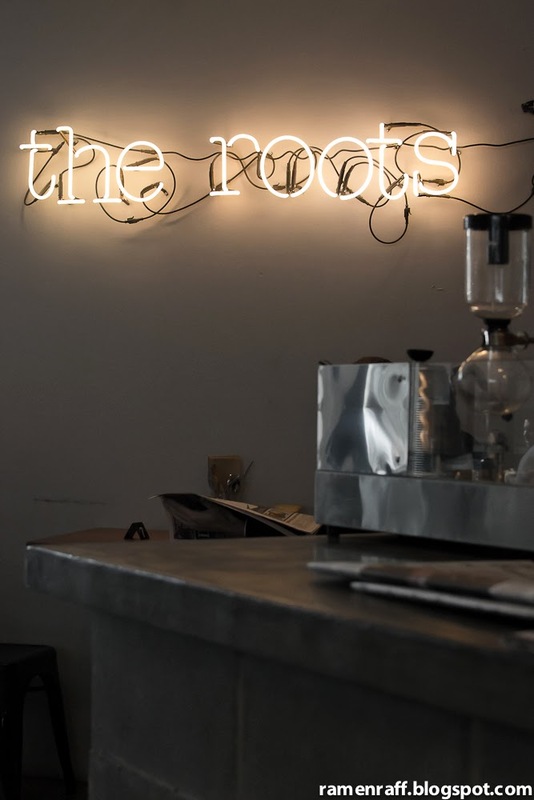 The Roots Espresso is a well-rounded cafe that delivers excellent coffee, food and efficient service. It's a mini Melbourne in the heart of North Sydney. Tip: they also serve Brewtown brewnuts every Friday (you're welcome!). A British philosopher named Francis Bacon once said, “Consistency is the foundation of virtue”. I totally believe him and l also absolutely love his surname! With consistency comes trustworthiness and integrity. 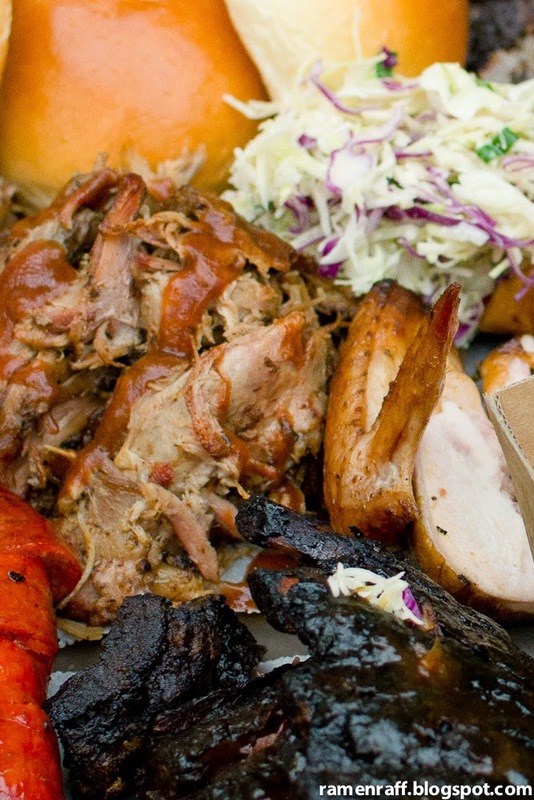 The Merivale group is consistent in terms of the food they offer at their restaurants. You can always be certain that the dishes will always be spot on. A few weeks ago, they transformed the Beach Palace into to their very own food paradise called Coogee Pavilion. Executive chef Jordan Toft and head chef Zac Sykes runs the new joint. The space is huge and is somewhat like an “All in one” food hall type venue. The beautiful interior has a homey and loft design with industrial fittings. A part of the building offers an ocean view and is nicely designed to welcome a lot of natural lighting. The menu features their own twist on old-time favourite beach bistro dishes and more. They even have a brick wood fire pizza oven for authentic Neapolitan pizzas, Will & Co coffee station for espresso drinks and a cocktail bar. Upon arriving at 11:00 am, crowds have already arrived. 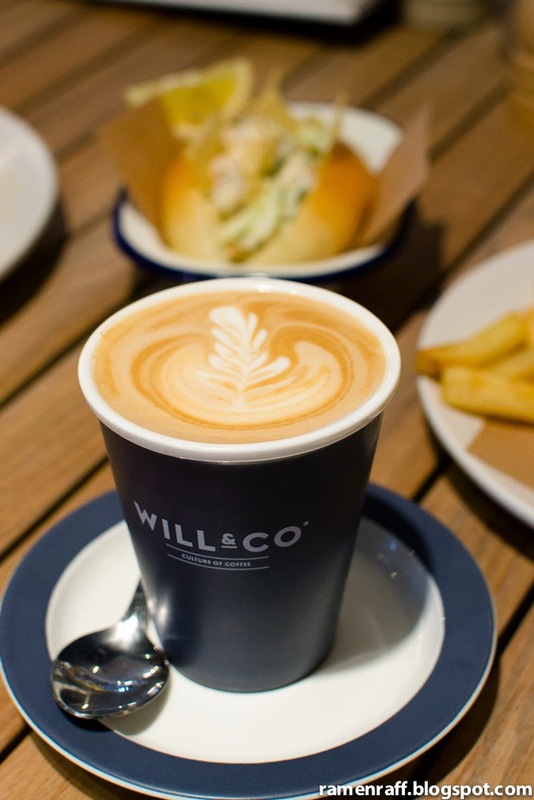 The beans used in their coffee are a blend from Will & Co. The caffé latte ($3.80) was smooth with rich notes of chocolate. It had a medium to full body and the textured milk had a good temperature. First up, was the amazing Coogee diner burger with chips ($18). The chips was cooked to perfection and seasoned well! It was super crisped on the outside and fluffy on the inside. 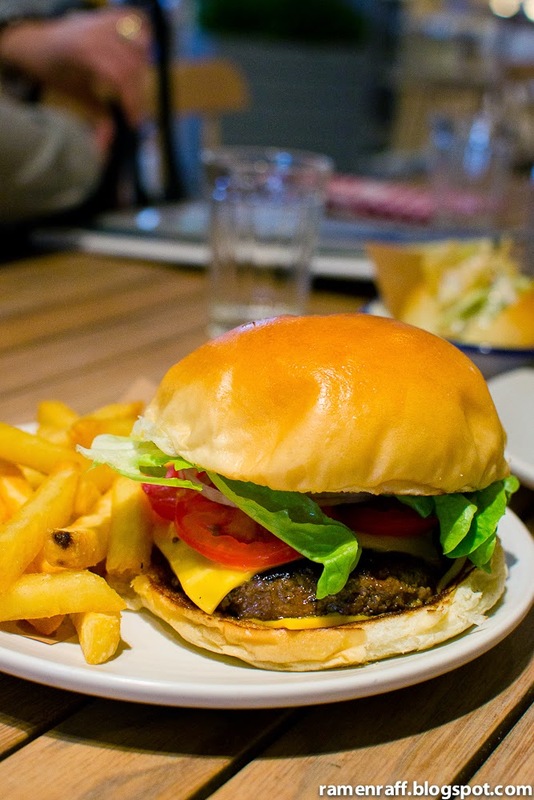 The burger may look simple but what makes it amazing is that it’s perfect in its simplicity as a well-rounded hamburger. The beef patty was flavoursome and juicy with a nice surface caramelisation. The patty in my opinion also had right height and size. It had melted American cheese, the right amount of salad (lettuce, onion, tomato), pickles and sauce. The hamburger encased in a soft sweet bun can easily be handled with minimal mess. 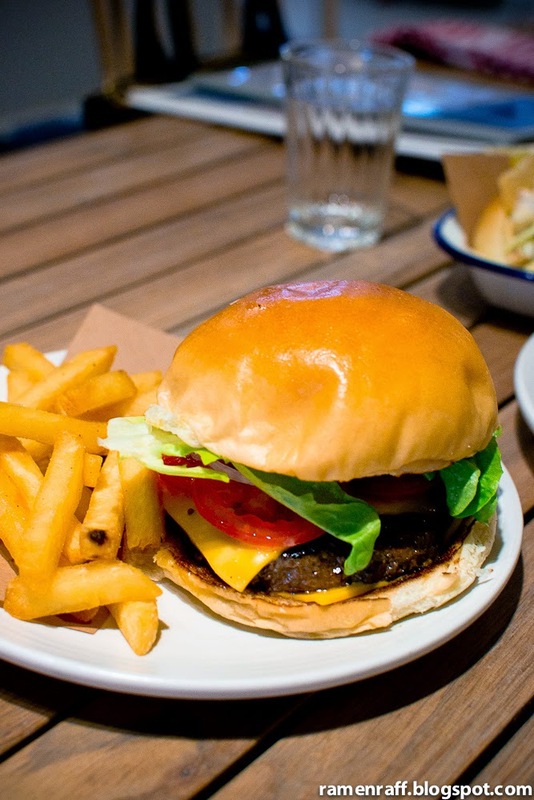 It is my favourite hamburger in Sydney to date. 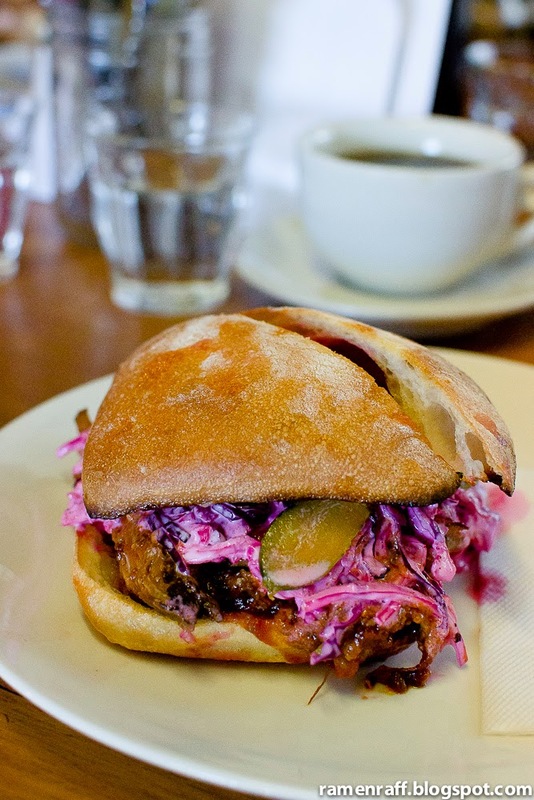 It is very similar to Melbourne’s Huxtaburger. 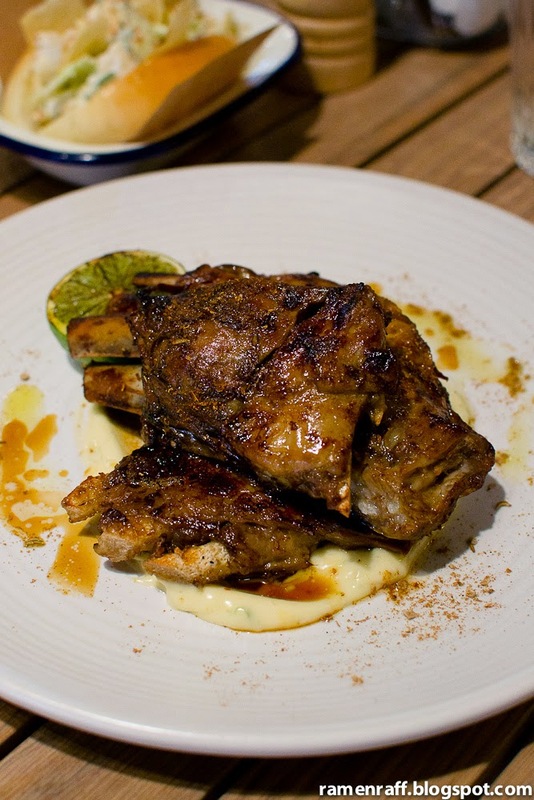 The spiced lamb ribs with pickled chilli aioli and burnt lime ($26) were also absolutely perfect! The ribs were super tasty, fatty and it was so tender that it fell off the bones. The aioli had hints of sweet and sour flavours that complimented the juicy spiced lamb meat well. The sweet and citrus juice from the lime gave the flavours an added lift. 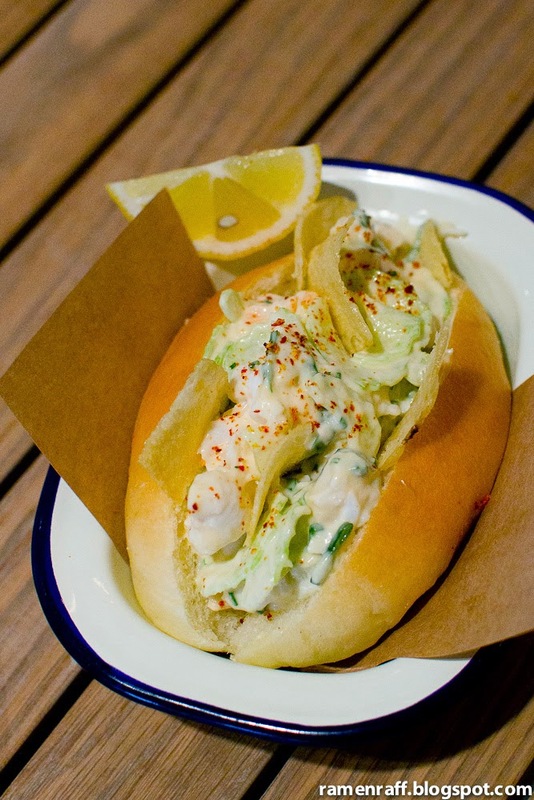 We also tried the mini lobster roll ($18) with celery, lemon mayo and chives. The soft sweet roll used for this dish was nicely buttered and held the filling well. The lemon mayo had a bit of bite from the celery and chives, which also suits the lobster meat. A dash of tabasco sauce amplifies the filling. 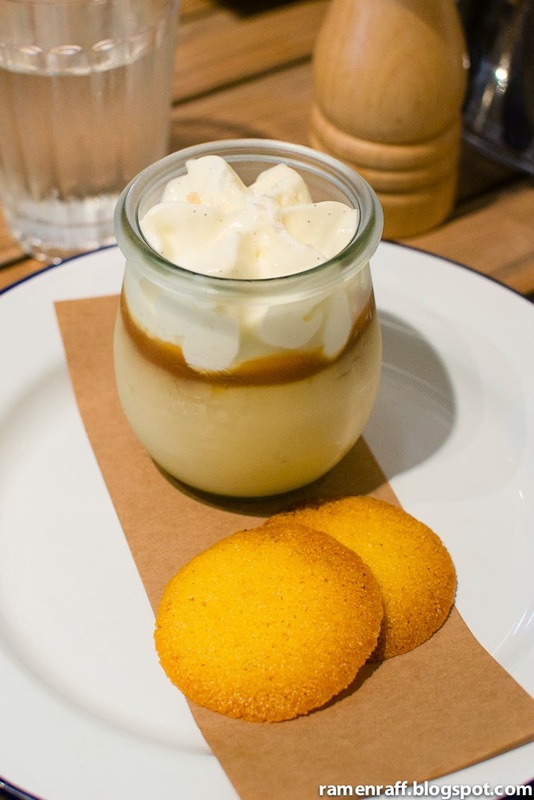 For dessert we tried their salted caramel custard pot, mascarpone cream and polenta cookie ($12). It was absolutely lush and the kind of dessert that creates blissful moments. Either you choose to scoop the contents with your spoon or the polenta cookies, your tastebuds will feel like it has hit the jackpot. 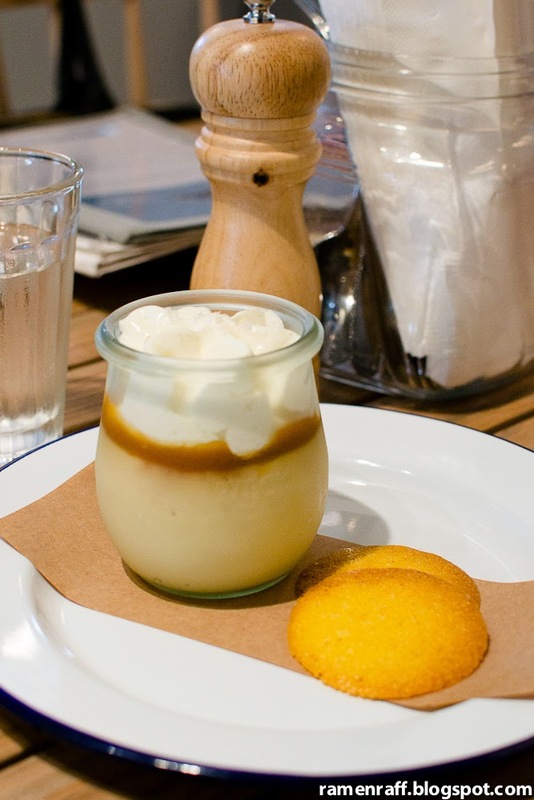 The layers of mascarpone cream and salted caramel were already a treat. But upon reaching the rich, smooth and eggy custard, my excitement level goes on overdrive. 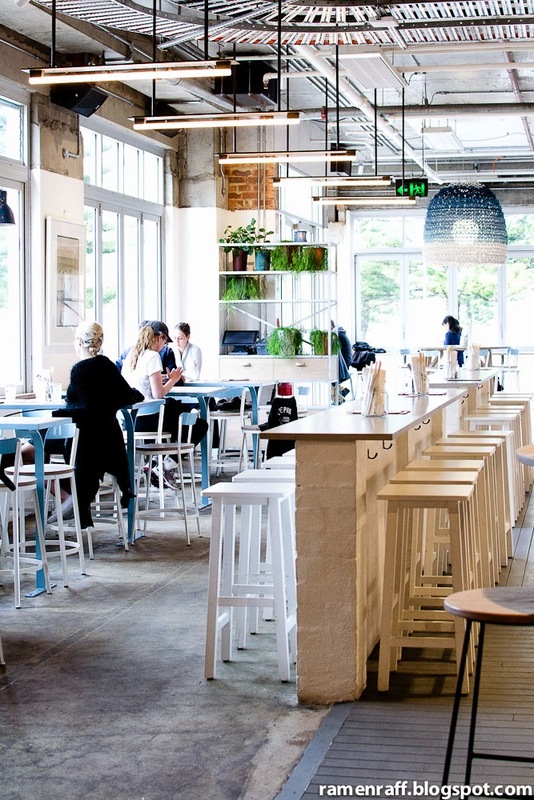 The new Coogee Pavilion is a wonderful addition to the Coogee Beach dining scene. 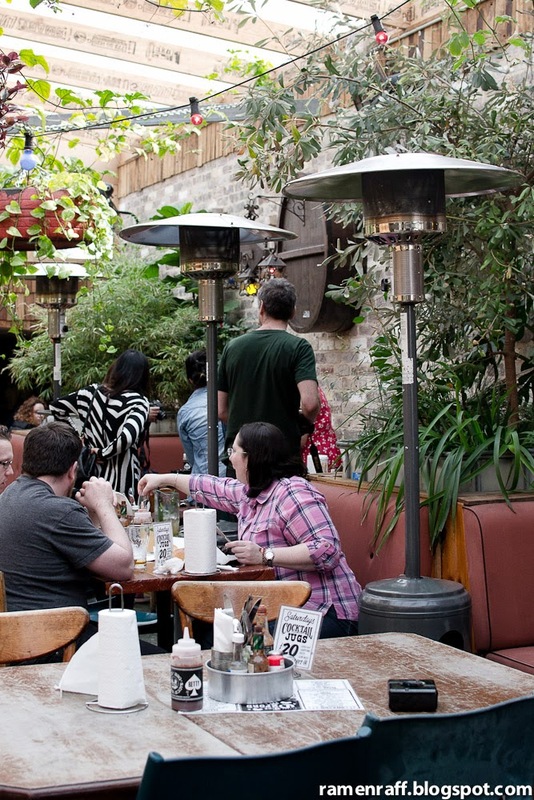 It’s a sanctuary with great food and excellent service. From what I’ve observed, it is definitely a crowd pleaser! 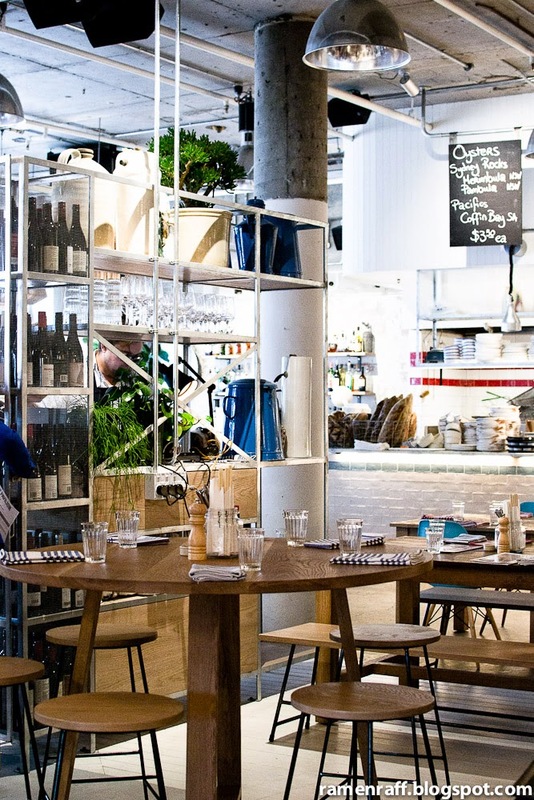 The Merivale group has taken beach culture dining to the next level. The Drink N Dine group is an unstoppable force. 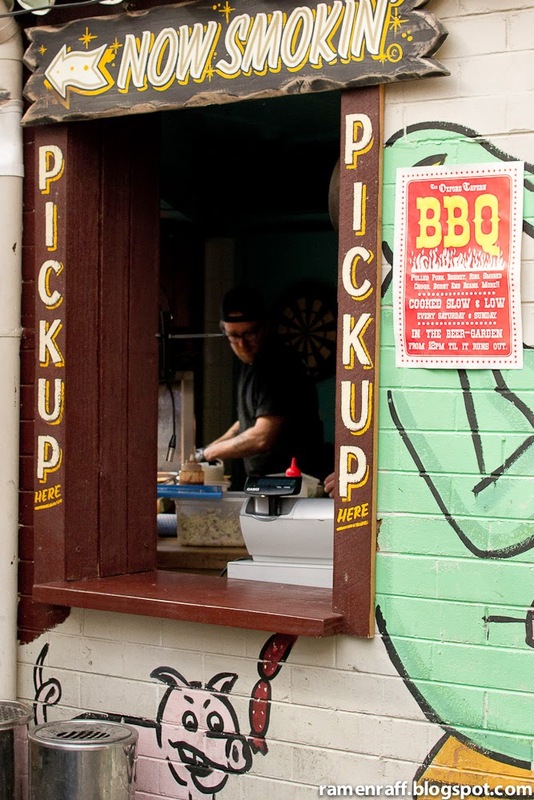 The folks behind Forresters, Queenies, House of Crabs and Chica Linda has extended their empire towards the Inner West. They have revamped the Oxford Tavern with their own take on pub staples like tacos, burgers, schnitzels, fish and chips, steaks and more. 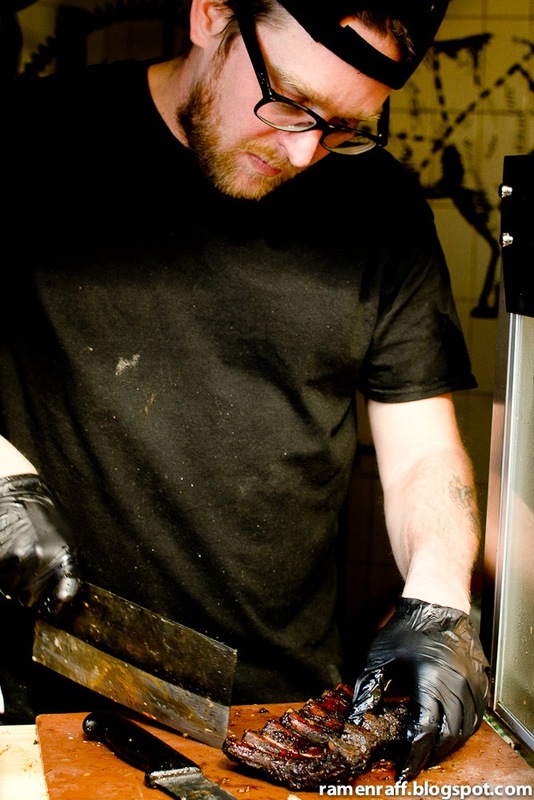 The pork ribs were $7 per 100grams and were a special last weekend (specials change every weekend). Meat sampling trays were served. 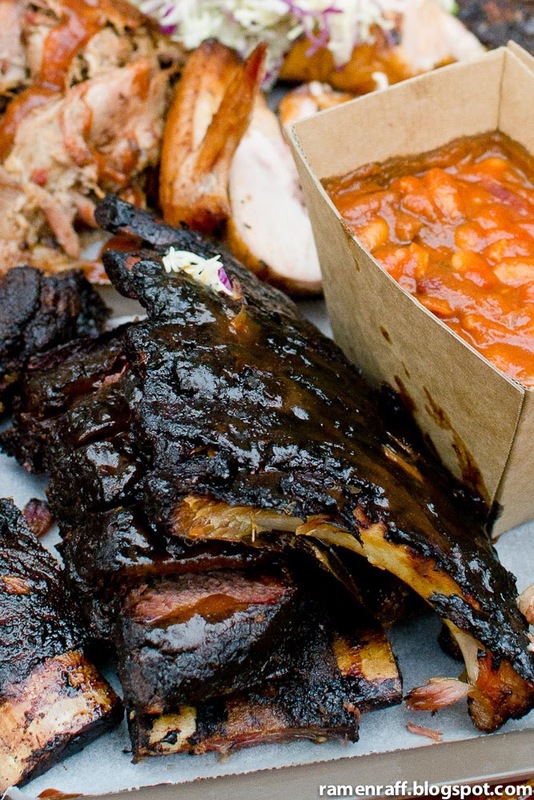 Along with the barbecue meats were some coleslaw, soft sweet buns and burnt end beans. The burnt end beans ($6) were smoky and sweet. 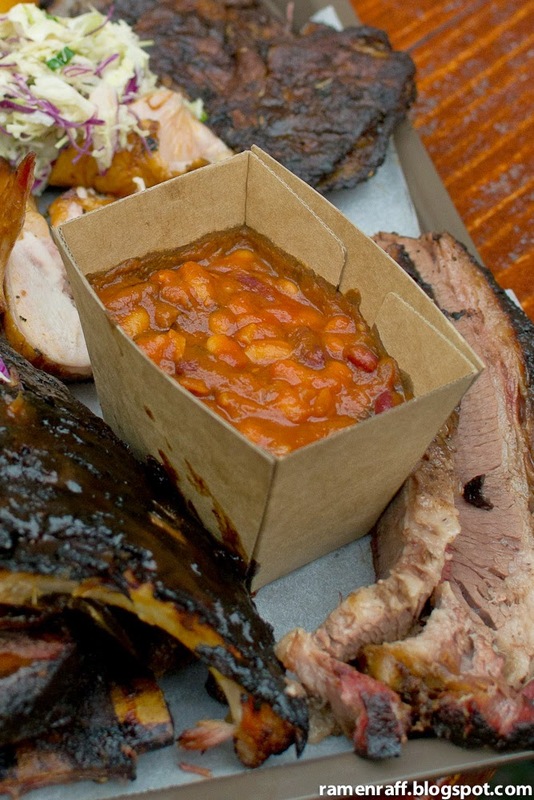 The enhanced smoky flavour and name comes from the beef brisket's "burnt ends" used to make the sauce for the beans. 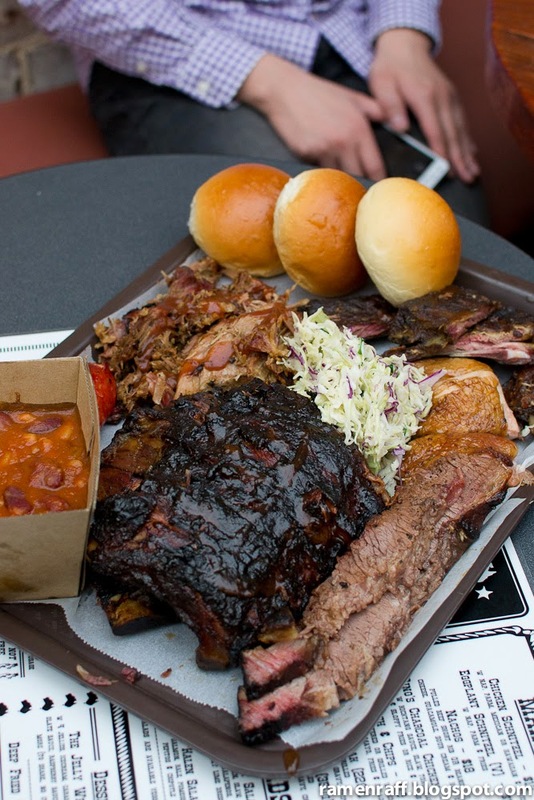 My brain went smoky barbecue overload at the sight of this precious trays of slow-cooked meat goodness. It was all things glorious. 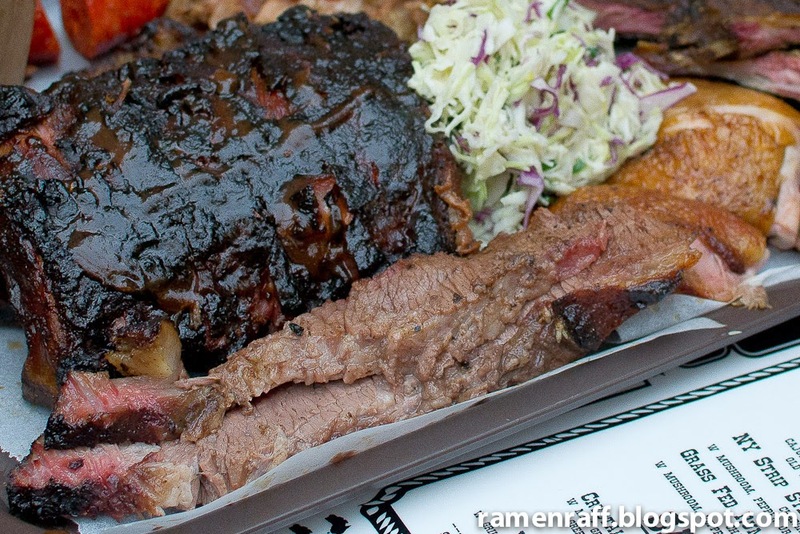 Out of all the meats, it was the tender fatty brisket, succulent smoky chicken and super tasty lamb ribs that stood out. 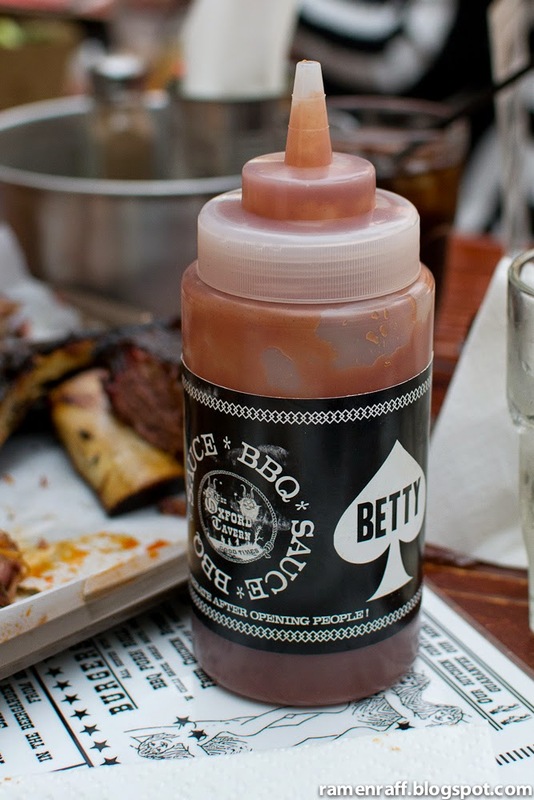 If you choose to take it up a notch to another level of awesomeness, pour some of the housemade Black Betty BBQ sauce over the meats. It was very smoky with sweet, malt vinegar, and tangy notes. 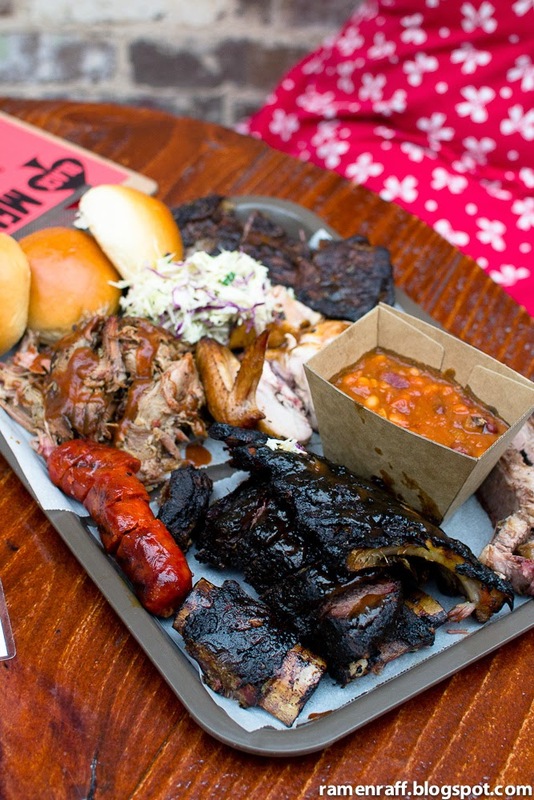 If you have never had American/Texan style barbecue slow cooked meat before, then head down to the Oxford Tavern for a meat-up check it out yo! 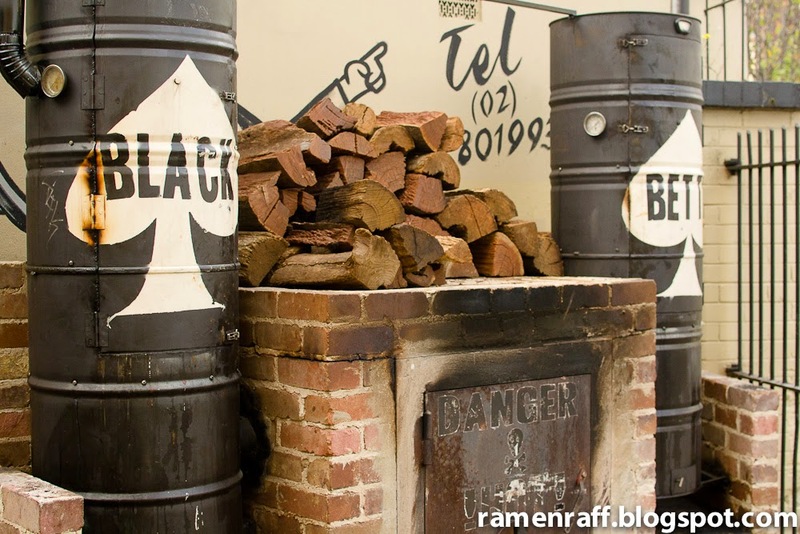 Ramen Raff was invited by the Drink N Dine group as a guest of The Oxford Tavern.